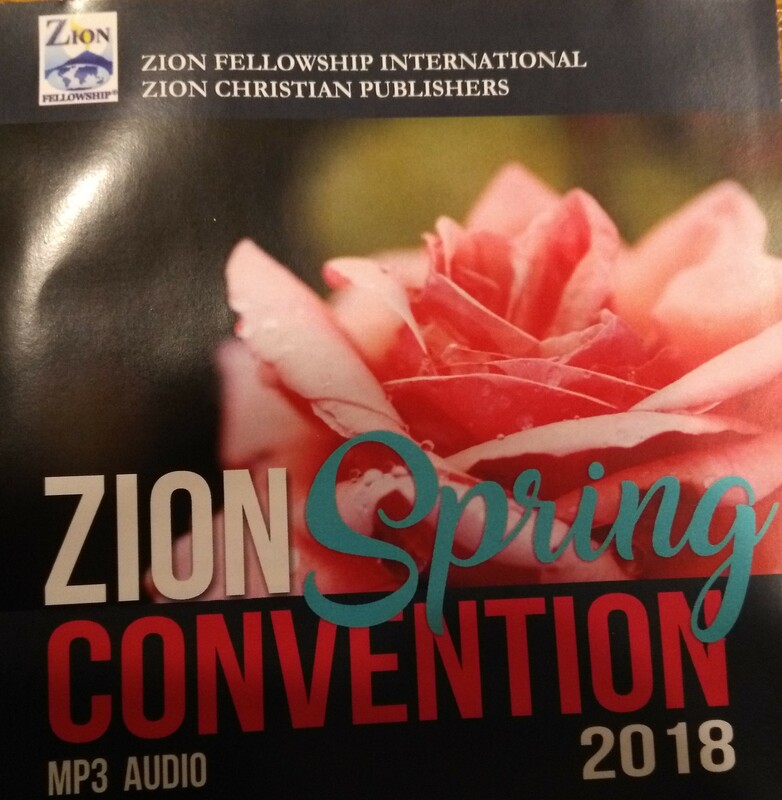 MP3 of Zion Fellowship International's 2018 Spring Pastors' Convention. The MP3 on a CD will be shipped upon purchase. Contains 25 Tracks of Worship Services, Special Music, Messages, and Testimonies. Messages: Overcoming Discouragement by Pr. David Wallis, Having Good Foundations by Dr. Paul Caram, Where's the Steak? by Pr. Justin Kropf, The Highway to Zion by Pr. Daniel Caram Sr., Wisdom from Above by Pr. Daniel Humphreys, Looking Unto Jesus by Pr. David Kropf, Complacency or Faithfulness by Pr. Daniel Gazaway, Two Questions and Three Statements by Pr. Paul Webb, A Living Hope by Pr. Robert Tucker Jr., Becoming a Spiritual Father by Pr. Robert Tucker Sr.
Testimonies: Pr. Aaron Viola, Pr. Daniel Kropf, Pr. Jason S.